Social Security is a stable source of retirement income that can often be a critical component of a retirement plan. For roughly two-thirds of retirees, nearly half of their income comes from Social Security. Here’s the best part: Social Security is actually a lifetime annuity. Once it starts, it continues for the rest of your life. Benefits are also inflation-protected, as there are annual cost-of-living adjustments. Choosing when and how to best claim your benefits can mean a significant difference in your lifetime income. For instance, deferring Social Security between the ages of 62 and 70 may increase benefits by 7 to 8 % for each year. The benefit at age 70 is approximately 76% more than at age 62. Our goal at Millard Insurance & Financial Group is to help individuals –whether Single, Married, Divorced, Widowed or acting on the behalf of a Minor – to maximize their lifetime income from Social Security. We’ll also help you leverage your opportunities to collect your benefits in the most tax-efficient manner. Let’s talk. Contact Bob Millard with your questions and a strategy on how to maximize your Social Security benefits. 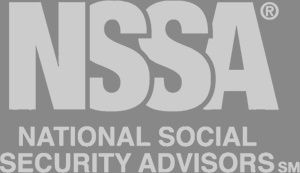 National Social Security Advisors certificate from the National Social Security Association LLC in Cincinnati.